This 9oz snack cup features two different lids. The first is an easy-access, flap snack lid that is gentle on toddler's fingers, while designed to prevent spills. This Click Lock snack lid is 100% mess proof because it turns to lock in position to help prevent toddlers from being able to pull it off. The second lid is a re-sealable cap that securely fits on top of the cup to help prevent unfinished snacks from becoming stale. 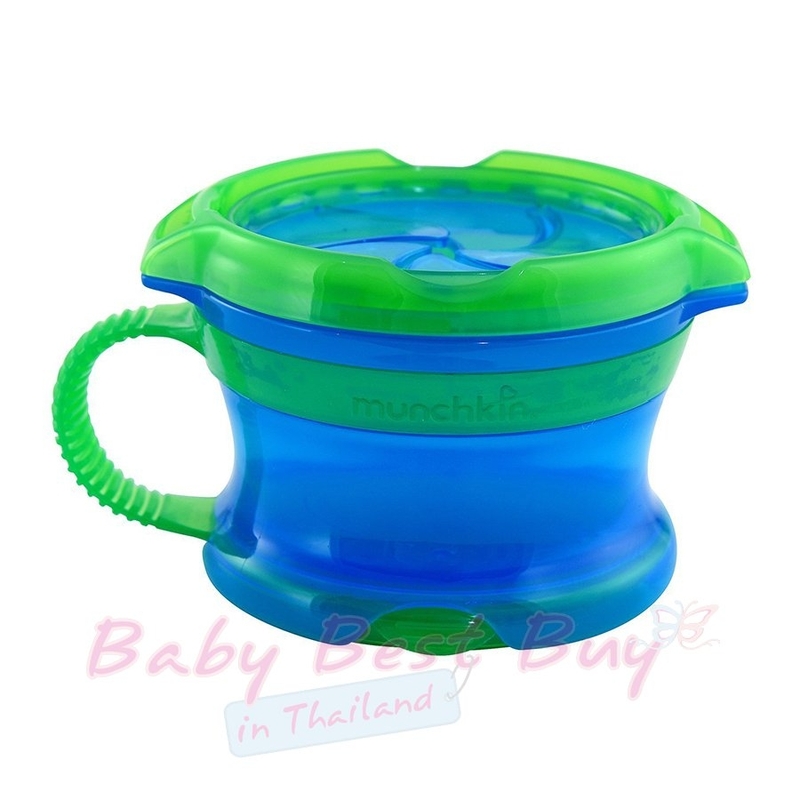 The lid tether acts as a toddler handle and pivots underneath the cup when in use. Great for snacking at home and on-the-go, this cup will keep up with even the most active of toddlers. BPA free and top rack dishwasher safe. Ideal for dry, solid snacks like crackers and dry cereal. Suitable for kids 12+ months.